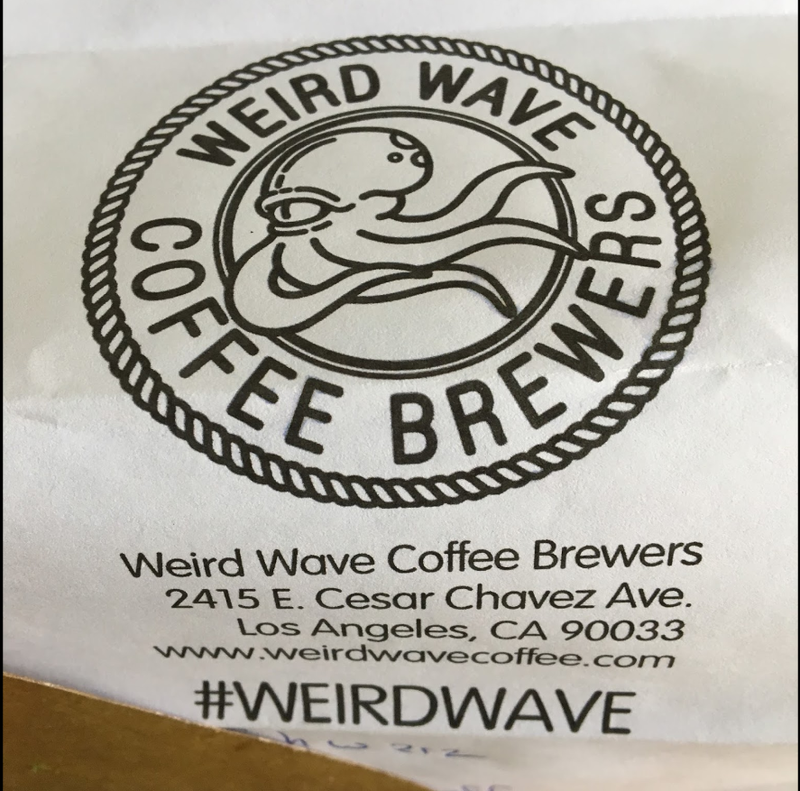 Weird Wave Coffee recently had the glass in their front door smashed by a rock. 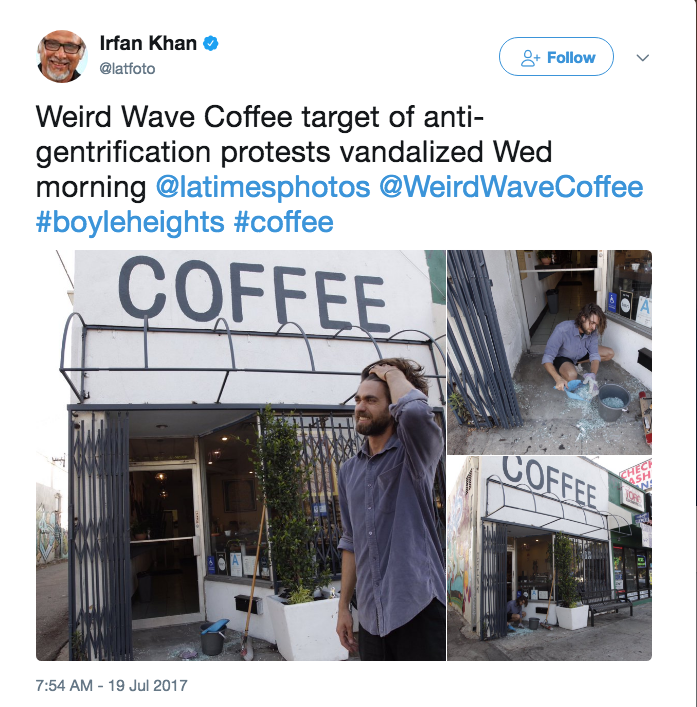 No one has claimed the attack, but the coffee house new to the Boyle Heights Neighborhood in East Los Angeles has been the target of so-called anti-gentrification protests since it opened in early summer. 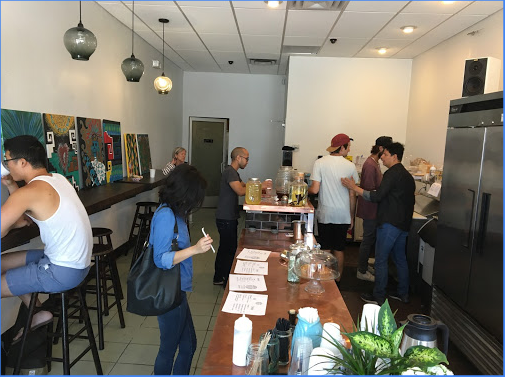 Basically, protesters claim when white owned businesses open shops in Mexican-American neighborhoods, it opens the doors to more upscale businesses. With those upscale businesses comes more “white” folks. The protests come off as pure racist. Protesters demand Boyle Heights residents should determine what businesses come into the neighborhood. Sounds racist. Why? If a white neighborhood started picketing a new taco shop arrival, all hell would break loose calling it racist. So what’s the difference? 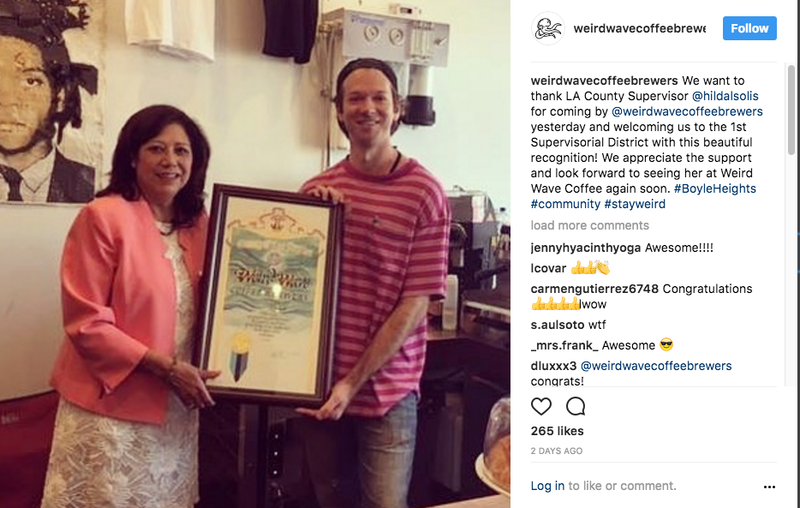 Weird Wave Coffee is trying to take the high road—they just want to sell coffee in a section of Boyle Heights that is rife with loan/pawn brokers and pre-pay day loan outfits. 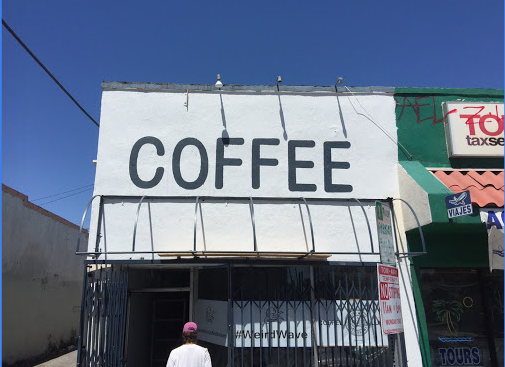 The following roster of articles ranging from local media to Newsweek discuss the coffee house and its role in the gentrification of an older “renters” community in LA.